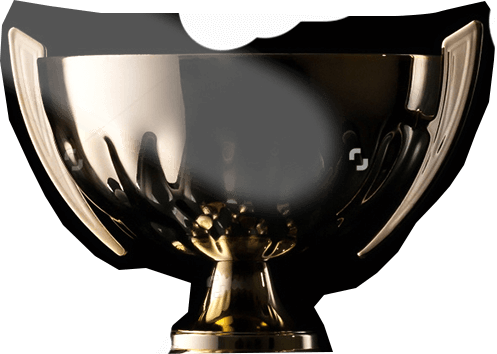 Vector Consulting Group, the largest management consulting firm in the space of Theory of Constraints in Asia, was announced the winner in 2 categories of the AMCF Spotlight Awards. Vector wins the award third year in a row for value & excellence in management consulting. AMCF, an international association of premier management consulting firms based in New York, evaluates and announces these global awards every year as a global recognition for consulting companies that go beyond the normal scope of consulting and help clients find “solutions to critical challenges and develop sustainable solutions for their business with objectivity, professionalism and proficiency” in addition to delivering superior results. As per AMCF the selection of the winner in each category is an elaborate process involving reviews and interviews of clients and consulting team by a panel of independent judges, experts from Industry and academics. Speaking on this dual win, Mr. Satyashri Mohanty, Director, Vector Consulting Group said, "Every year we benchmark our work in India with global benchmarks. The fact that we have been winning AMCF awards consistently for last three years is a testimony to the quality of our work. This year our project with Pratibha Syntex has also won a special award for being amongst the top scorers across all categories of awards." 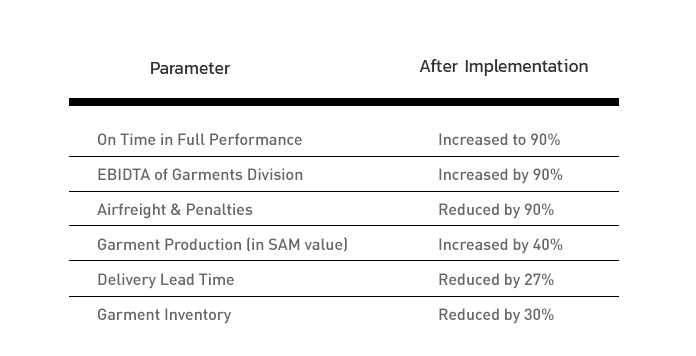 The following results were achieved within 2 years of implementation pull based supply chain using principles of Theory of Constraints. 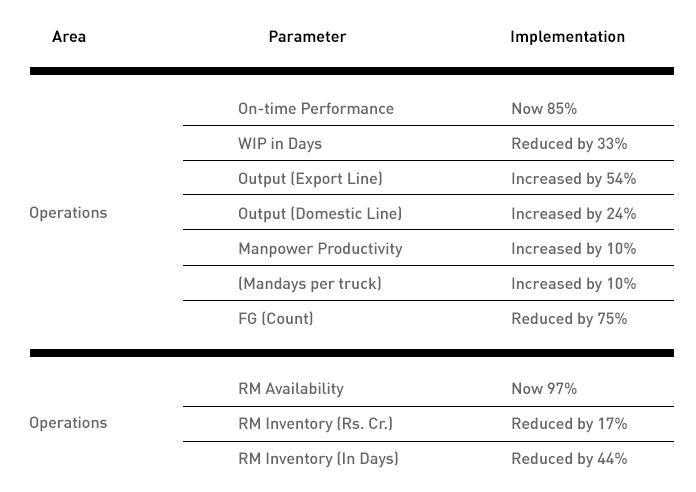 The following results were achieved within one year of implementation of theory of constraints based operations solutions. Vector Consulting Group is the leading consulting firm in the space of Theory of Constraints consulting in India, It engages with organizations to help them gain market share by building unique supply chain capabilities that provide a competitive edge in the market. Vector Consulting Group is engaged with India’s most renowned industrial houses such as Tata, Godrej, Bajaj Electricals, Cummins Group, Raymond, and Kirloskar Oil Engines etc. The Association of Management Consulting Firms is the premier international association of firms engaged in the practice of management consulting. Founded in 1929, for 85 years AMCF has been in the forefront of promoting excellence and integrity in the profession.